A large commercial building has caught fire on County Road 43. The road has been shut down. The old gas station / car lot just past Bolton Road is engulfed in flames. 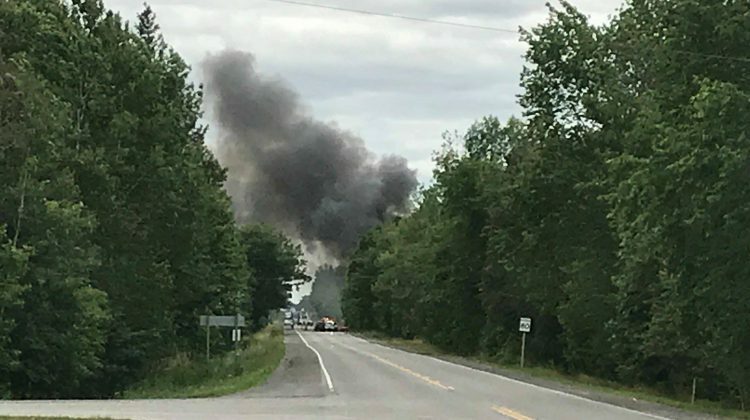 The OPP, North Grenville Fire Service, Merrickville Fire Department and Edwardsburgh-Cardinal Fire Department are on scene. 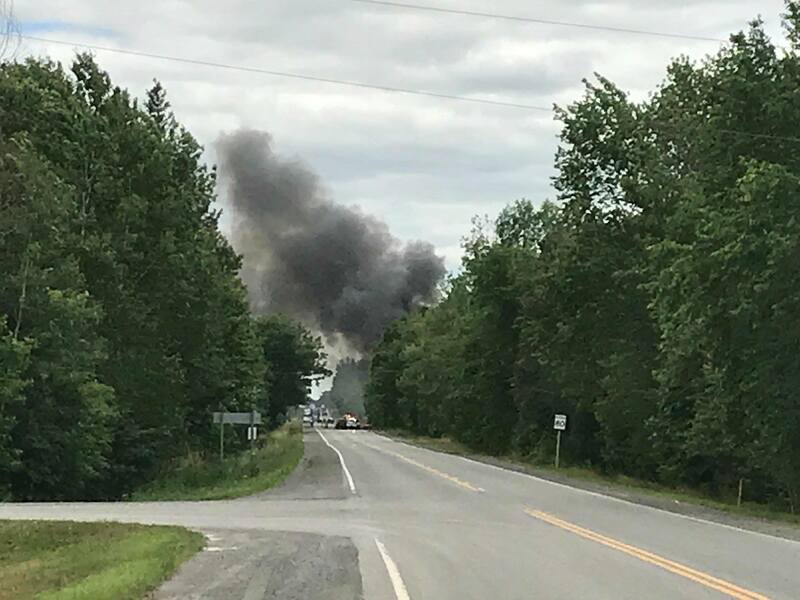 Trucks are currently running back from the site to Kemptville to fill up with water, so please be aware if you are on 43 to pull over for emergency vehicles. More details will be provided as they are made available. Avoid the area.